t-shirt, navy crested tracksuit jumper. For sports events the children must wear the navy tracksuit bottoms. 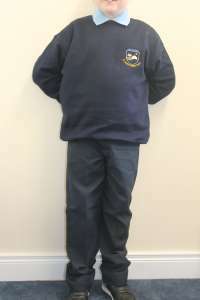 All pupils are asked to clearly label each item of clothing with their full name.